Hardcover, 6.5 x 9 in. / 496 pgs / 540 color. A frank chronicler of postwar Mexico’s political contradictions, Nacho López (1923-1986) published the most critical images of his time, in photo essays for magazines such as Hoy, Mañana and Siempre! He photographed the streets of Mexico City, its pool halls, pulque bars and the grim Lecumberri prison, with an almost classical eye; all of his pictures are rigorously composed and contain no extraneous matter, addressing only the necessary and the telling. 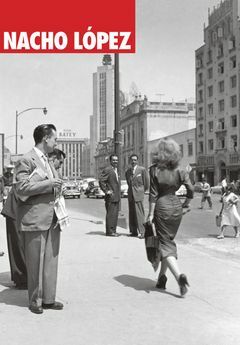 To achieve this concision, López would often construct scenarios, such as arranging for an actress to stroll past groups of men in the street and provoke their “approval.” López’s photos also have the special quality of appearing to eliminate temporal conditions, so that their subjects are seized more in space than time. In this manner, López captured the corrupt as they fell from grace and the disenfranchised as they defied their poverty with camaraderie and improvised entertainments. 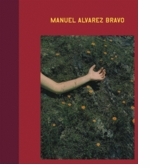 This latest issue of Luna Córnea is a full-length monograph on López, exploring all aspects of his oeuvre, including his work on architecture, dance and anthropology. Nacho López’s work is little known outside of Mexico today: Luna Córnea redresses that oversight. Introduction by Rose Shoshana. Text by Guillermo Sheridan. Translated by Lorna Fox. FORMAT: Hardcover, 6.5 x 9 in. / 496 pgs / 540 color.